When you possess an ounce of cannabis, which is 28.5 grams, you will be charged for an infraction under the state of California cannabis law. You will be forced to pay a fine of $100. If you possess a large amount of cannabis, this would be a misdemeanor. You would be charged a fine of $500 and get six months in jail. If you possess the weed with the intention of indulging in marijuana cultivation or to get sales, you would be charged with a felony. This carries a bigger sentence. You will be sent to prison, if found guilty. If the police bust you for marijuana cultivation, you are going to have to call an experienced criminal attorney to provide an aggressive defense in court, whether to reduce your sentence or get you off scotch free. You don’t have to do jail time, if you have a good attorney. The law also protects you, if you follow the requirements of how much weed you can cultivate. In some cases, your defense will depend on the specific county where you were caught by the police and if you have a past criminal record. 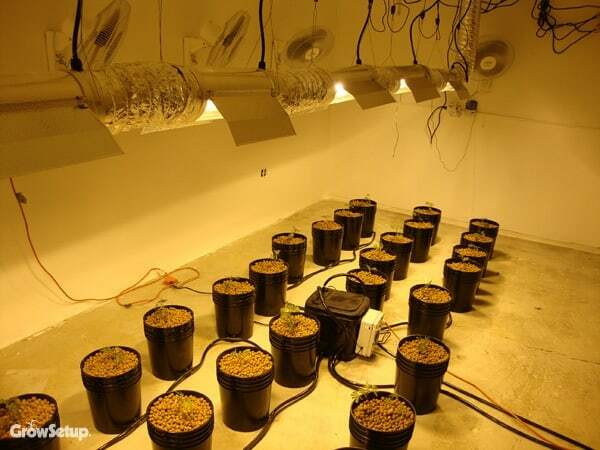 You can indulge in marijuana cultivation, but there are legal guidelines. You can only cultivate six mature cannabis plants, twelve immature cannabis plants or a larger amount recommended by a doctor and as long as it is reasonable enough for the patient’s needs. Even when you are following the marijuana cultivation law in California, you should always be aware of the federal government. To the federal government, there is no recognition of marijuana as anything else, but a dangerous drug. To learn more about the cannabis laws in California, visit the Cannabis Training University.